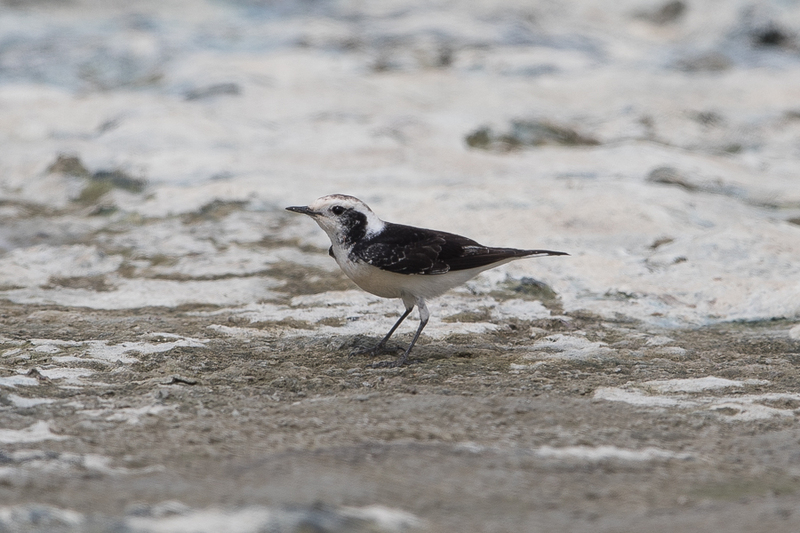 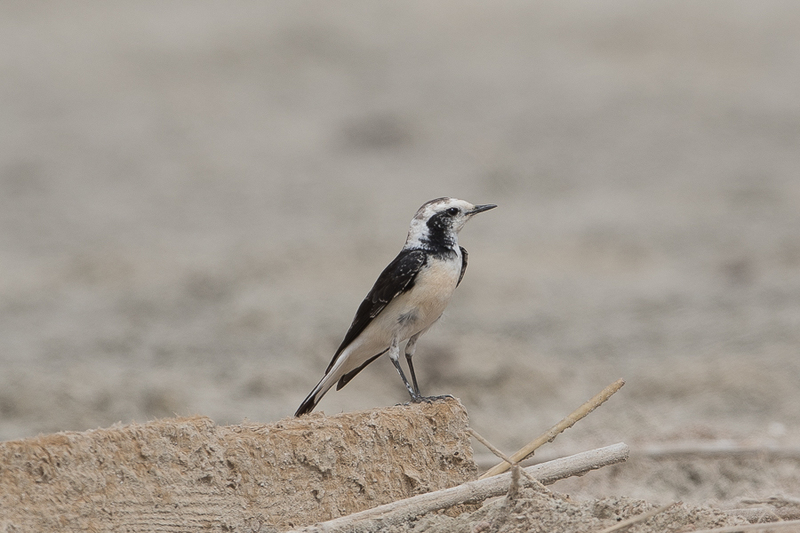 Whilst birding the Jubail area in late March I came across a ‘vittata’ form of Pied Wheatear Oenanthe pleschanka. 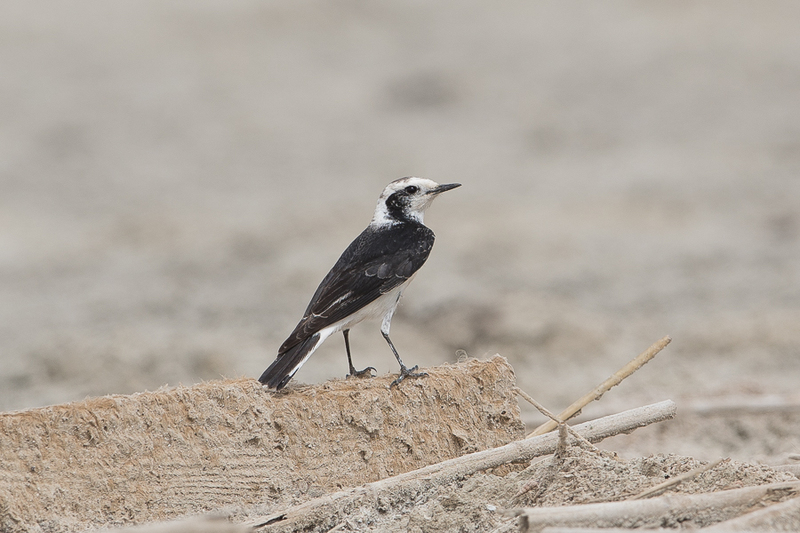 This is only the second time I have seen this form in Saudi Arabia with the first on my local patch of Dhahran. 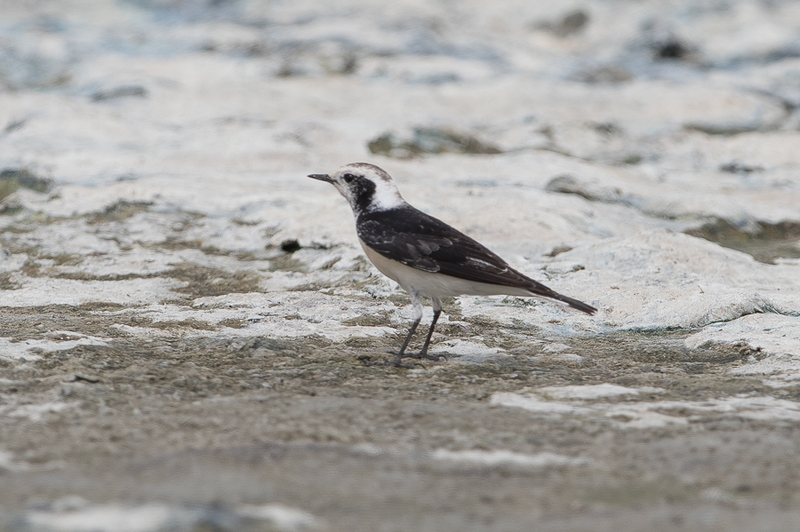 The position of the ‘vittata’ is not completely clear but is generally considered a colour morph of Pied Wheatear. Alternatively it may reflect an ancient hybridization between O. pleschanka and Black-eared Wheatear O. hispanica east of the Caspian. 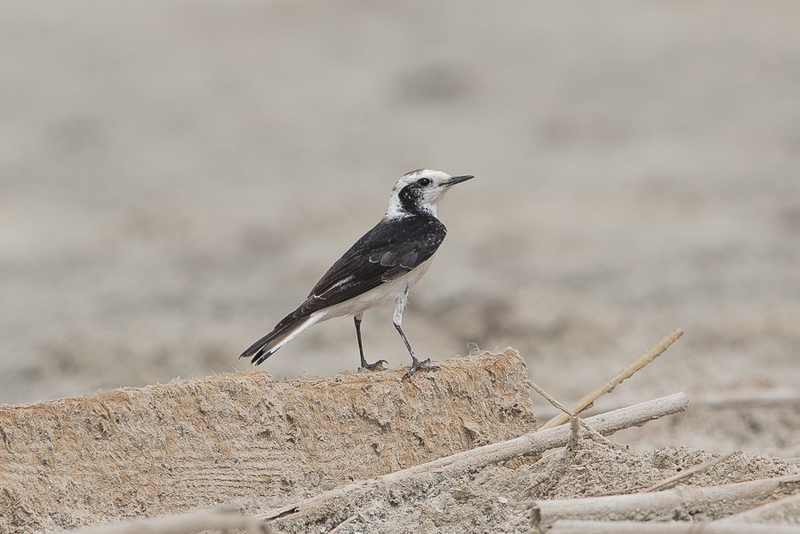 HBW says “the apparent scarcity of individuals displaying the ‘vittata’ phenotype in other areas where the two species hybridize, yet its relative abundance beyond the easternmost range of O. hispanica melanoleuca, give greater credence to the colour morph theory”. 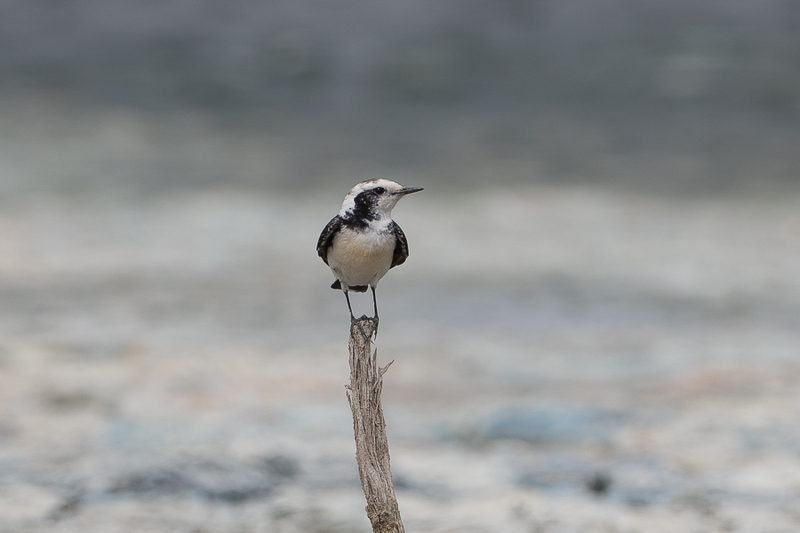 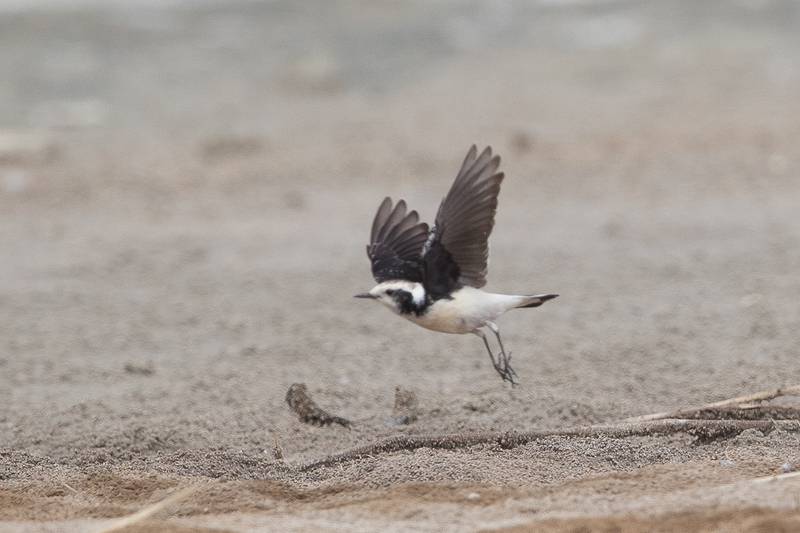 The white-throated form, ‘vittata’ is similar to Eastern Black-eared Wheatear but the mantle is black. 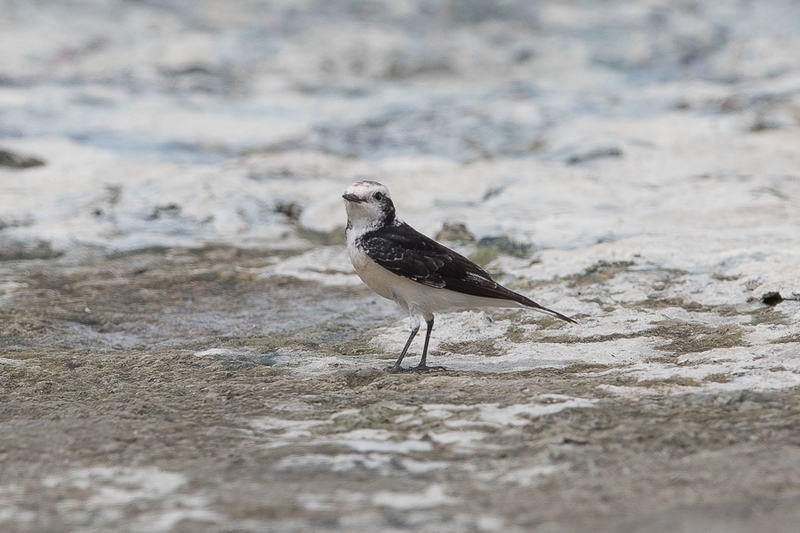 They form a very small percentage of Pied Wheatears making up only 1-2% of the population.